Although most patients think that, with advancing Knee Osteoarthritis, the only option is surgical or total knee replacement, the field of regenerative medicine is progressively proving itself as a viable option for many. 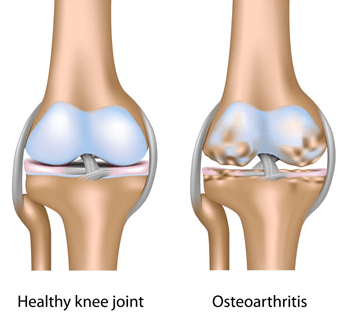 Platelet Rich Plasma (PRP) and Stem Cell Therapy are becoming increasing popular non-surgical options for knee osteoarthritis. Patients are often told their knees are bone on bone, yet often their is still cartilage available that can be utilized to regenerate and repair the knee cartilage. Dennis M. Lox, MD, has addressed many knee patients who were told they were bone on bone and needed a total knee replacement and were effectively managed with PlateletRich Plasma (PRP) and Stem Cell Therapy. 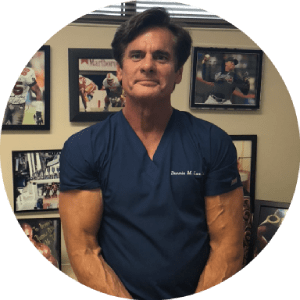 Dr. Lox is a Sports and Regenerative Medicine Specialist who advocates the use of regenerative medicine techniques such as Platelet Rich Plasma (PRP) and Stem Cell Therapy.